New Delhi: Realty firm Godrej Properties on Thursday said the company has raised ₹ 45 crore by selling 49% stake in its arm to private equity firm Sun Apollo. 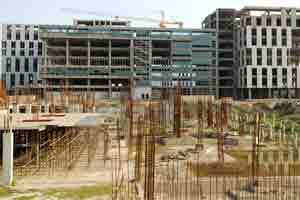 The subsidiary ‘Godrej Premium Builders’ is developing a project in Gurgaon. “Sun Apollo has invested ₹ 45 crore out of which ₹ 18.3 crore has been paid to Godrej Properties for sale of stake and ₹ 26.7 crore has been invested in Godrej Premium Builders," it added. At present, Godrej Properties is developing many projects in 12 cities across the country. Commenting on the development, company’s executive director Pirojsha Godrej said, “This fits well with Godrej Properties Ltd’s strategy of efficient capital management and demonstrates our continued ability to attract equity capital in all market conditions".